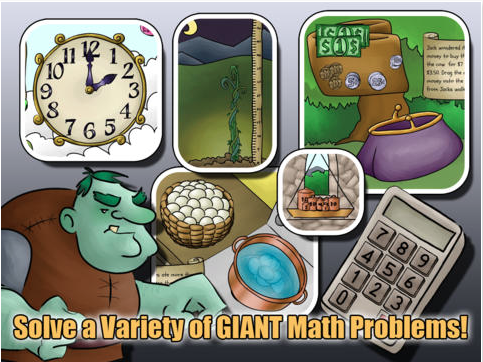 Jack and the Beanstalk: A Mathematical Adventure is one of my favorite iOS games from the creator of MathFileFolderGames. This is an excellent and super fun game for kids working a basic Math skills, such as: counting money, adding, telling time, and more. Also, a user can switch the Math problem if they are getting stuck which and the narrated adventure makes for high replay value. I highly recommend checking out Jack and the Beanstalk by clicking here!! !